Project Address Sector-168, Noida Expressway, Noida, Uttar Pradesh, INDIA. 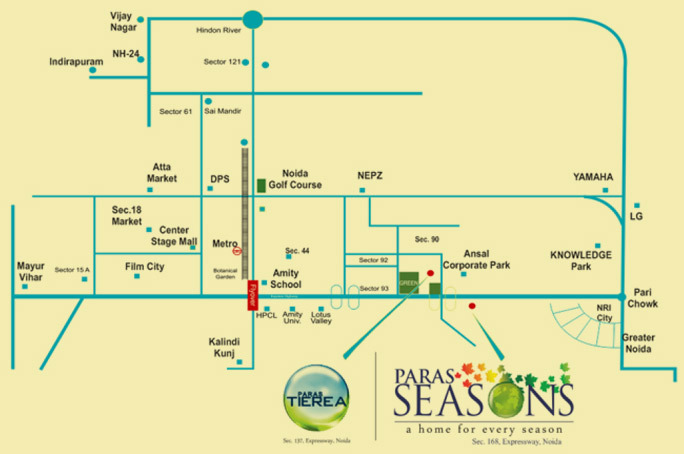 Paras Seasons, situated in Sector 168, Noida. The apartments are spacious along with an Eco-friendly environment. It is near to the metro station and well connected to Delhi via national highways, roads and ultra modern flyover. The project comprises of ultra modern features and amenities so that the residents lead a luxurious livelihood. A complete spectrum of services is part of this venture. It is a reliable property to invest in. The project includes sophisticated facilities such as Swimming Pool, Cafeteria, Garden, Parking area, tennis court, play area, jogging track. The safety of the residents being the concern there is 24*7 round security service. The leading real estate builder Paras Buildtech is striving in the progress pathway by developing superb residential projects for home seekers. The company takes pride in launching one more housing project named as Paras Seasons that is based out at sector-168, Noida and is adjacent to Greater Noida Expressway. This outstanding residential project comprises world-class apartments in 1BHK, 2BHK, and 3BHK ranges. All apartments have built robustly and are versed with all necessary facilities like big size hall, bedrooms, hall, kitchen, bathroom, doors, windows, etc. Besides, the building includes multiple floors and 8 towers. 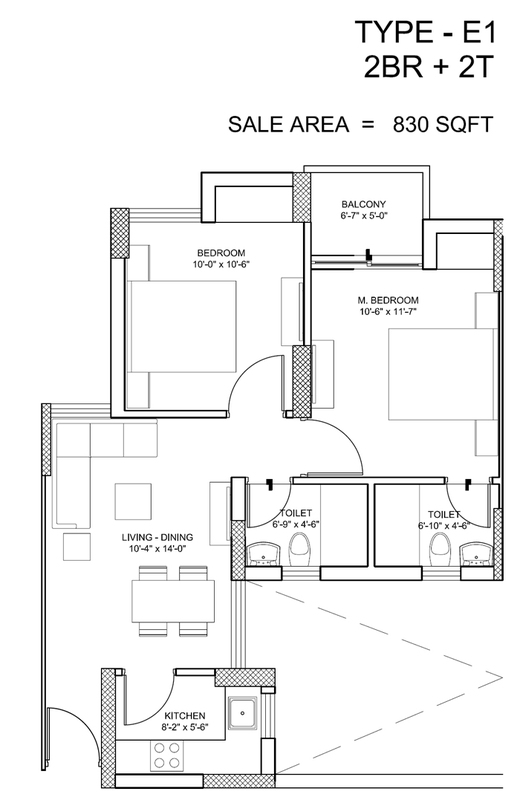 Every apartment possesses wide space that may range between 650 sq. ft. to 1695 sq. ft. Apart from that, the project location is surrounded with greenery and is spread over area up to 7.5 acres. Hence, this residential project is a big master plan of the company to make investment and get the way to home easily. 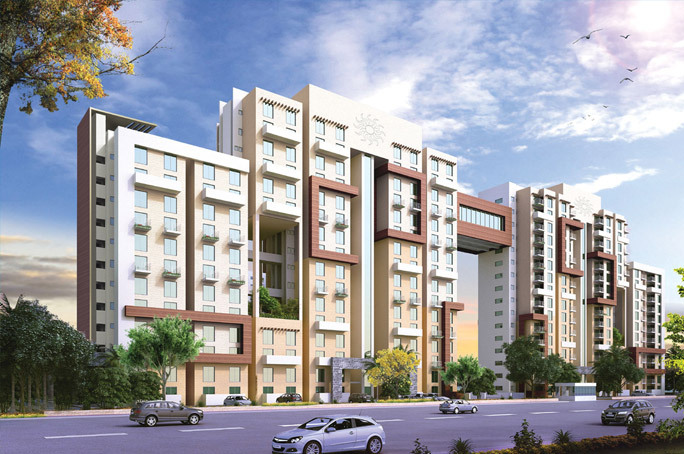 The Paras Seasons is a dream residential project of Paras Group. To influence clients, company has offered many top-class amenities in the project such as swimming pool, gym, club house, car parking, café, landscape garden, jogging track, tennis court, power backup, water supply, and so on. Besides, the company has managed to plan this project nearby location of school, college, hospital, bus stand, metro project, shopping mall, etc. Thus, the families will find all the benefits at certain distances of the site. It is not over yet, the project location connects with NH-24, railway station, airport and proposed metro project too. Moreover, the project site has good drainage system to manage water flood problem in rainy season. Thus, it will be a beneficial deal to book apartment in this residential project and live life king size with dear ones. The company has offered stunning apartments at market leading prices. There are more than 1094 apartments have been built by the company. But, most of them have already been sold. Now, only few units are remaining to sell. For further details of units and their resale offers, you can consult with advertise or check out portal of the builder. Also, the website will provide you information about exact price listing of each apartment to compare among the glut and choose the best one under the budget. So, do not wait much and book your unit as soon as possible. 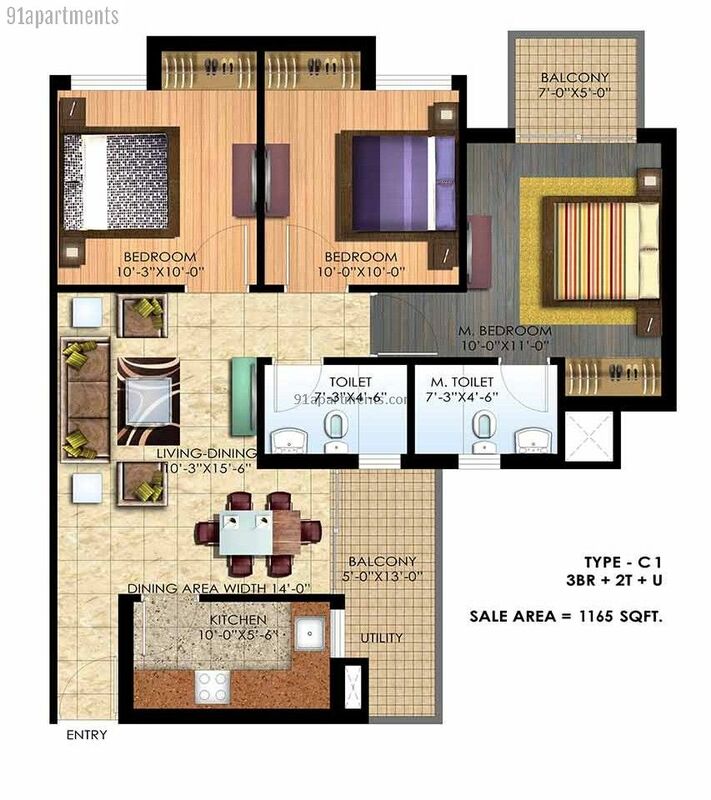 Sector 168 Noida 385 - 475 Sq.ft. 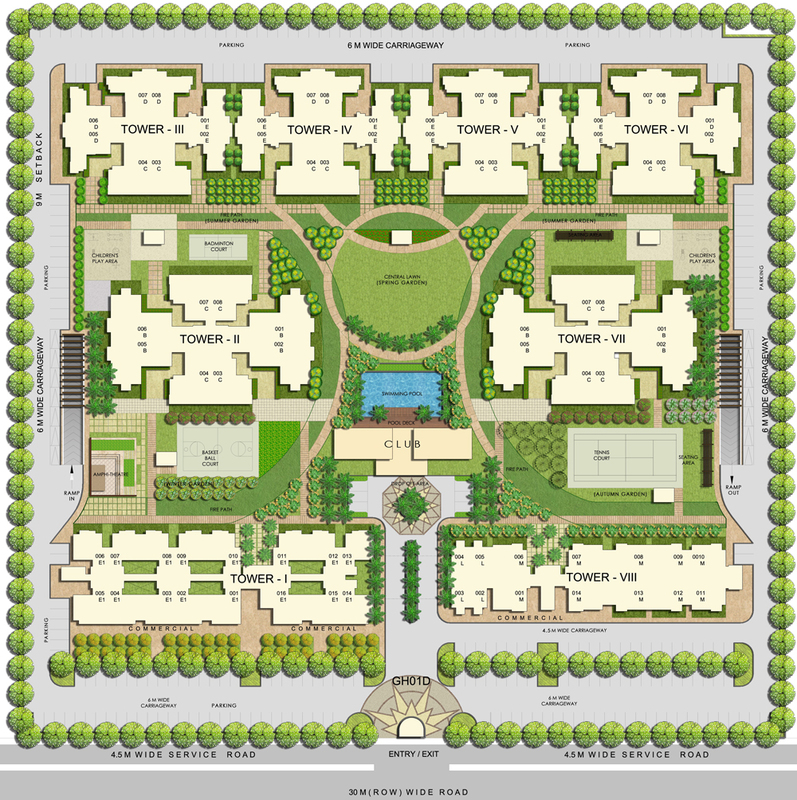 Sector 168 Noida 575 - 1600 Sq.ft.